For many Singaporeans, the idea of an early retirement is pure fantasy. If you recall your everyday hearing about expensive housing, car and even food, you will be convinced that you will never be able to retire at all. But what if early retirement isn’t quite as an impossible task as you think? 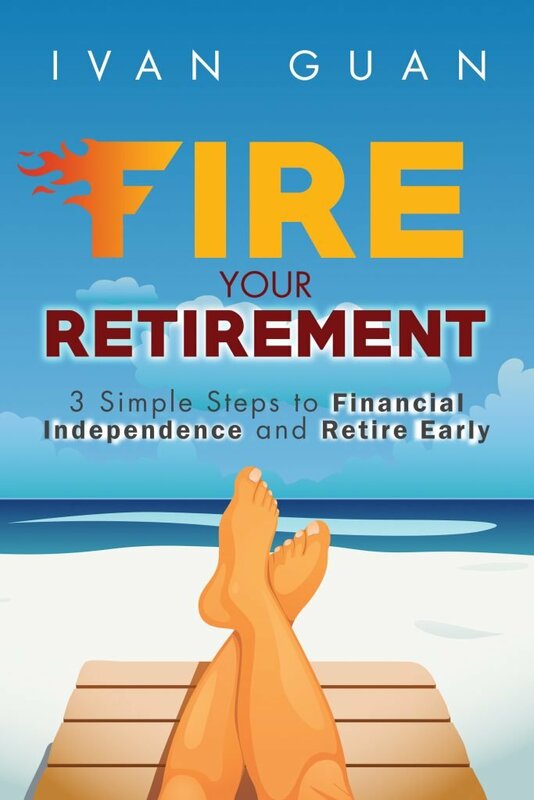 Today I will explain that retirement, even early retirement, is within anyone’s grasp if you start to do the right thing now. To understand this, we must first understand where the money comes from. In the modern world, everything you buy (your house, your car, your phone or your bags) is provided by either income that you generated or debt that you accumulated. For most people, Money = Income + Debt. In fact “debt”, in the form of mortgages, car loans or credit card loans, is just a function of your projected future income. So your ability to accumulate money is really directly affected by your income. At the same time, your income is derived from the hours you work, you basically trade time for income. Since your time is limited, your income is limited too. That’s why the economic value of your time will determine how fast you can accumulate your wealth. However, once you stop working, your will lose your income and your financial freedom. In another word, you can never truly retire in this path. High income, if not manage properly, could be even more detrimental to your financial well-being and retirement. Data from Singapore credit bureau shows most of the heavily indebted borrowers have tertiary education qualifications, a diploma or higher, with incomes above or around the median income. If the key is not income itself, what could it be? In fact, there is one more kind of income which I call “Unexpected Income”. You may strike Toto, received a donation or inherit a fortune. Sadly, unexpected income will almost always end up with a undesired outcome. It doesn’t matter whether you are a CEO of a multinational company, a self-employed or a small business owner. Most of our income is essentially from our active employment income. And that is our “cash in-flow”. It is not hard to understand that our “net cash flow”, the amount we can save for our future retirement, is the difference between these two. 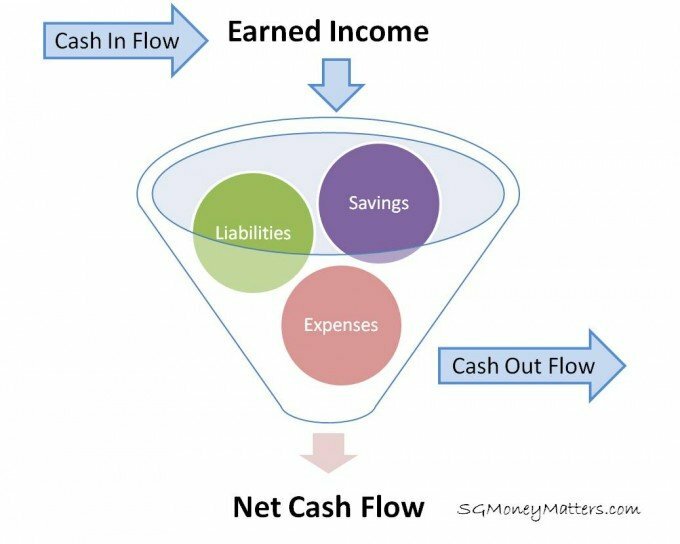 Net cash flow = cash in-flow – cash out-flow. We can think of our cash flow like the wealth funnel below. We always end up less than what we earn. Our cash outflow will NOT stop even we have no cash in-flow. In another word, you cannot stop working if you are on this path. Worse still, since most people are spending your future earnings on loans, there is really nothing left for you to retire or retire at the age you want. In my pursuit of the secret of wealth, I discovered the ironic fact that the more financially successful a person is, the less he or she works! Why? Because all the rich have “income generating assets”, a.k.a. IGA. The rich have a different wealth funnel system which they built in their earlier careers as shown below. Imagine what would happen if instead of using your income to buy things which you don’t actually need, you systematically transfer part of it to assets that generate income for you passively. Imagine what would then happen if your monthly income from these income-generating assets exceeded your monthly spending or even your income? 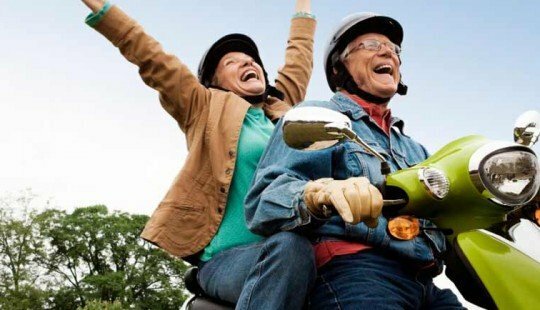 That, my friend, is the secret of wealth building, and it is the one thing you must do if you ever want to retire. 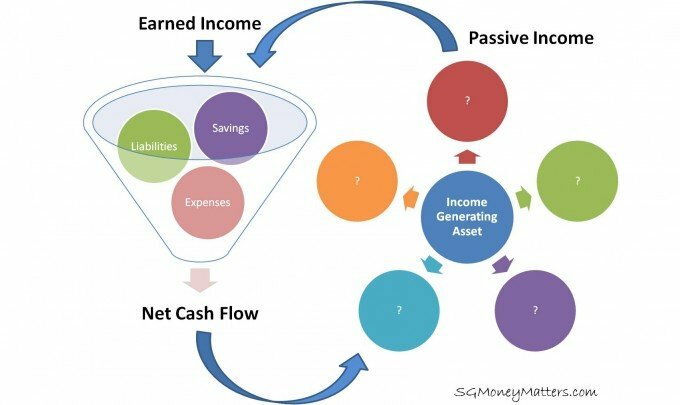 What are Income Generating Assets? We all own some sorts of such assets, our savings in the bank pay interests to us while we are sleeping, and we ourselves are money making machines. But the problem is that these assets either rely on our physical working or they generate too little income to make any impact on our lives. That being said, Singapore Savings Bond is not an IGA as the return is too low to sustain our lifestyle. Yes, you may not realise that you have been spending the first 25 years building the best income generating asset in your life. That is… You! Aren’t you the “asset” who has been putting cash into your wealth funnel diligently every day? It is time for you to slowly pull yourself out of the income source. The moment you do not depend on your income to pay off your liabilities and expenses, you are financially free. The concept of IGA is not new. It has been around for thousands of years and used by the smartest people in history. Let me give you a sneak preview of what modern IGAs can be used to turn Man @ Work to Money @ Work. In today’s context, rental property (land) and dividend stocks (merchandise) can both be IGAs. Even research shows that investing in dividend stocks is preferred strategy by Singaporeans for retirement, not all dividend stocks are suitable to hold for retirement. There are better alternatives than dividend stocks. If you do not want to miss the future updates of this topics, simply leave your email below. What are other Income Generating Assets in your mind? Leave your comments below and we can discuss. hello mr ivan, i am 32 , working in the rat race 12 hours a day, i feel lost and trap as money is always not enough due to bills and family related problems. i hope you can chat with me on whatsapp. Have you heard about Care Plus in AVIVA? Is there anyone else providing this type of policy? Nevertheless, are you referring to Aviva “My Care Plus” or “Living Care Plus”? I discover this article a bit late than the others. In fact, it is very insightful article and written in a simple way that normal people like us easy to understand. In my opinion, another cornerstone assets for passive income/ early retirement assets to be built since young are Business and Knowledge. Business that will generate you consistent cash flow once it is getting mature. Whereas Knowledge is what create value to other people, which sharing of knowledge via ebooks, seminars, courses definitely would generate another form of cash in flow. Business is definitely a Cornerstone assets. An income generating business asset is not as hard as most people think. As you rightfully pointed out, if you have the knowledge and create value for other people, you will be able to create another stream of income for yourself. This is one of the best blog I have come across. Thoroughly thought in terms of strategy. Keep it going. Thank you Ivan. Very useful and insightful articles in simple terms. You have done a very meaningful work sharing with us Singaporean. Good article. But why can’t the government create a passive income for each citizen? That is an interesting question. I think Singaporeans are being taken care by the government too well that many forget to look after their own interests. We all know we should encourage infants to walk by themselves even if they constantly fall down, because nobody will learn how to walk if he or she never falls.